Traveling has never been more rewarding either. The advent of the internet might have taken away some of the romance associated with exploring new destinations, but it has also made us more knowledgeable about hidden adventures, places that deserve a visit. 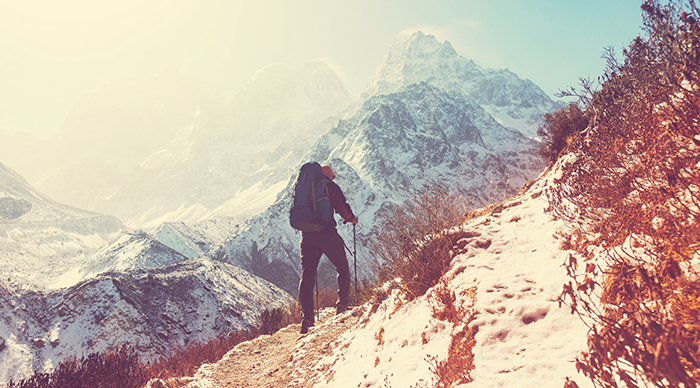 If you’re in love with adventure and exploration, this list is sure to excite you. It presents a range of activities that often feel more rewarding than the destination itself, for most usually tend to offer great adrenaline rushes and a life-changing experience. Most people stick to the cities and beaches of Australia. After all, these tourist magnets do have so much going on for them. 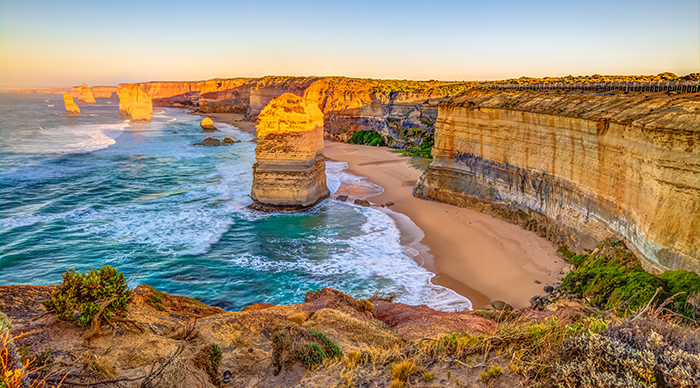 However, if you’re interested in an adventure of a lifetime, don’t miss out on the Great Ocean Road, one of the most amazing and beautiful stretches you’ll ever see in your life. Explore iconic surf breaks, check out misty waterfalls and see the world-famous 12 Apostles. The area has so many adventures to choose from. You have scuba diving, surfing and sea kayaking, and most importantly, you also have endless miles of stunning coastlines and beautiful surf towns to see and explore. 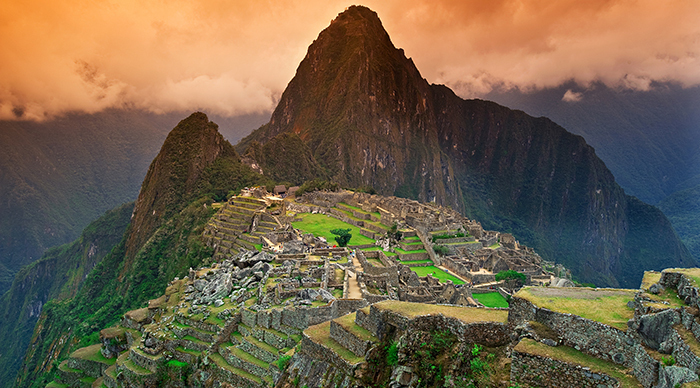 Machu Picchu is no longer a mystery. An ancient city that was once lost during the Spanish Conquest of Peru now attracts visitors from all over the world with its glorious history and incredible adventures. A journey to the lost city of the Incas often leads to high expectations and you’d believe that you’re sure to end up being disappointed. However, your actual experience always turns out to be far better than anything you’ve ever imagined. The city in itself is an epic adventure, but the journey to the top of the mountain along the Inca Trail proves to be an even more rewarding experience. You’re surrounded by some of the most beautiful scenes on the planet and the entire area is scattered with ancient ruins that deserve exploration. 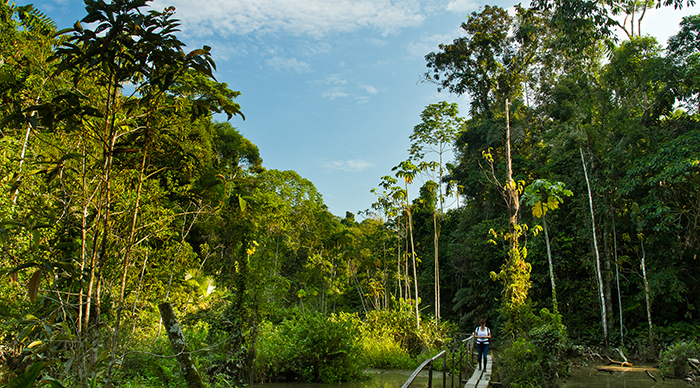 The Amazon is a place unlike any other on the planet. It draws its name from Greek mythology and is truly one of the most magical and surreal destinations that you’ll ever see. With more than 30000 species of plants, 311 types of mammals, 165 amphibian species, 1800 species of fish and 1300 bird species, you’re always close to wildlife, irrespective of which country you choose for your explorations. A trip to the Amazon is about so much more than sailing along a river, exploring a dense rainforest. 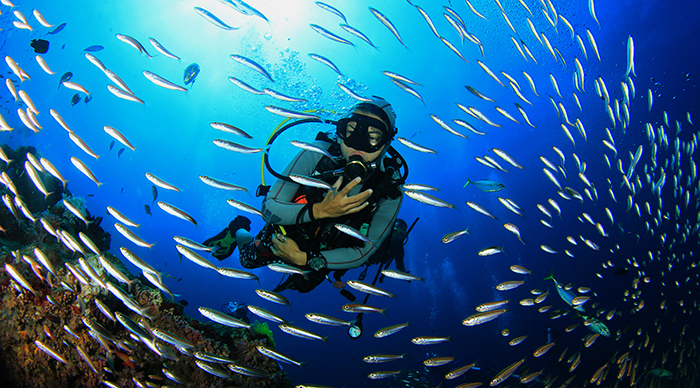 To truly explore the Amazon, you need to dive into a classic adventure. Canoe through a flooded forest, hike through dense trails watching howler monkeys waiting patiently for the wildlife to come forward and show itself to you. The Serengeti National Park presents the greatest wildlife adventure that the planet has ever seen. It is immensely beautiful, a UNESCO World Heritage Site that deserves every bit of the appreciation it receives. 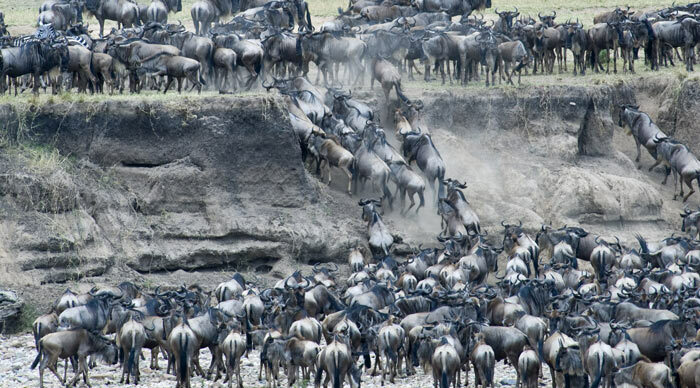 What makes the Serengeti so legendary is that it is one of the only two destinations to host the Great Migration in Serengeti, a natural phenomenon where millions of wildebeest, cattle and zebra walk from one national park to the other in search of greener pastures, exposing themselves to all kinds of predators in the process. No matter how many times you visit the Serengeti, its magic never fails to impress. The untamed wild lets you run free, allowing your imagination to soar to new heights, releasing pent up stress, helping you rid yourself of modern-day struggles. It presents the classic safaris in Africa, an experience that is as romantic as it is adventurous. The Grand Canyon isn’t just a mammoth gorge. It defines a way of life. Much of the 1904 sq. 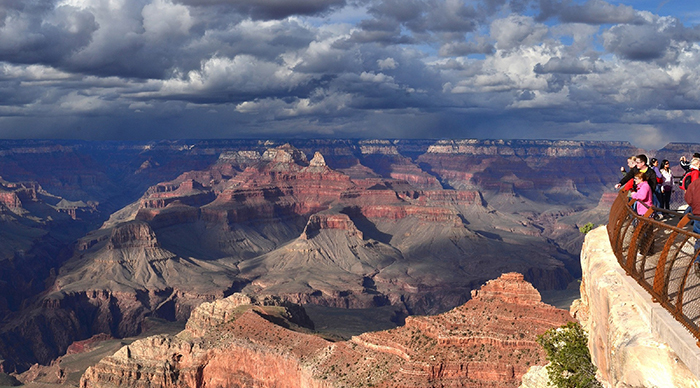 miles of the Grand Canyon National Park is maintained as a wilderness area. The place has some of the cleanest air on the planet and you can’t help but feel blown away by the colorful scenes on display. It is normal to feel excited about your trip to the Grand Canyon for this promises one of the best adventures of your lifetime. As one of the seven natural wonders on the planet, the Grand Canyon is always beautiful. But what you might not know is that it is also one of the best ways to come closer to nature’s true spirit, experience a sense of wonder despite that knot in your belly, feeling amazed despite a tingling sensation in your spine. For the ultimate adventure of your lifetime, head over to the North Rim. It rises to heights of 8200 feet and boasts of cooler temperatures, mesmerizing views, a sense of remoteness and stunning wildflower meadows. Pakistan, India, Bhutan, Nepal and China, these countries might not see eye to eye on so many things, but they all agree that nothing comes close to the Himalayas when it comes to scenic mountainside beauty and dramatic landscapes. Dominated by the iconic Mt. Everest, Himalayan adventures are all about getting closer to the best of nature and redefining the way you look at life. The steep slopes are dotted with remote mountainside villages that offer great cultural experiences, and the Himalayas are never found wanting for the lack of an adventure. From jaw-dropping gorges to gut-wrenching mountain passes, this place truly has it all. The Great Barrier Reef screams superlatives. Ranked among one of the seven natural wonders of the world, the reef system stretches for 2300 kms from the Torres Strait to Bundaberg along the coast of Queensland. It is the largest coral reef system on the planet, and this UNESCO World Heritage Site is always an epic adventure. With 1500 fish species, 400 types of corals and 4000 species of mollusk on display, the reef always manages to enthral you with its epic collection of marine life, reminding you just how colorful nature truly is. Head over while you still can, for the reef system is also known to be one of the fastest disappearing attractions of the modern world. All those shark movies certainly had entire generations fearing these predators, but a few brave daredevils conquered their fear by swimming with these beasts without the support of any cages and came out unscathed. You don’t have to take such high risks to swim with a shark though. 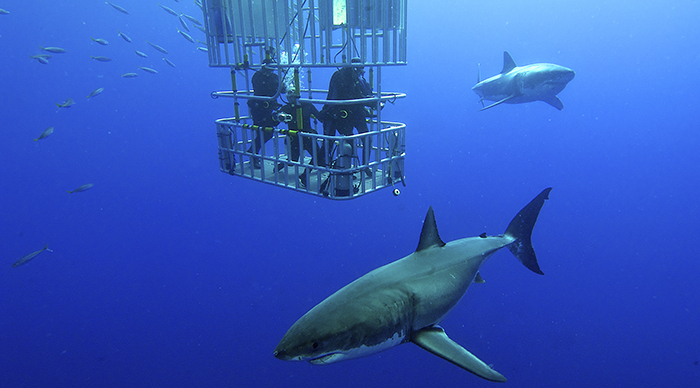 South Africa offers all kinds of cage diving tours that let you get morbidly close to these great white beasts to give you an adrenaline rush unlike any other. If you’re feeling adventurous and plan to visit Africa on a grand adventure, this is one experience you simply cannot ignore. Explore the best of Finnish wilderness on a snowmobile as you move north from Kittila to the Norwegian border. 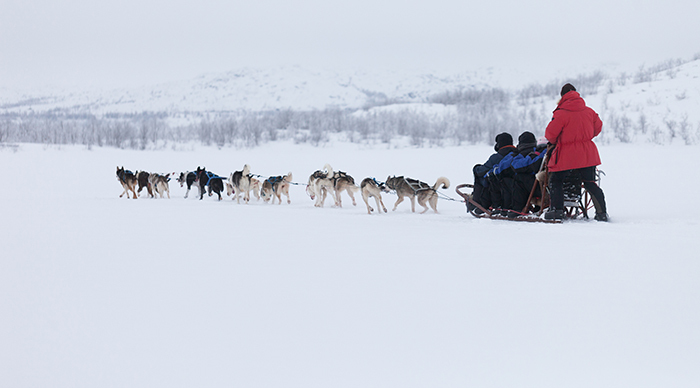 You can embark on a husky safari that lets you control a team of five dogs, cook over open fires, sleep in wilderness cabins or sleeping tents and enjoy unparalleled natural beauty. This safari is a truly remarkable experience and the excitement of controlling your own dogs as they pull you at a speedy pace through breath-taking scenery. The Zambezi River is a haven for rafting enthusiasts. Considered to be one of the greatest river rafting destinations on the planet, it hosts an adrenaline pumping adventure through Class IV rapids that are sure to excite the most seasoned rafters. Apart from the gigantic swells and dramatic drops, you also get a chance to see crocodiles or a pod of hippos from up close. These adventures are perfect for couples, families, solo travelers as well as daredevils. Some of the adventures mentioned in this list can be termed as soft adventures, but most are sure to be challenging and thrilling. Don’t miss BookMundi’s recommendations for the Best Adventure Destinations of 2016 for even more exciting places all over the globe.